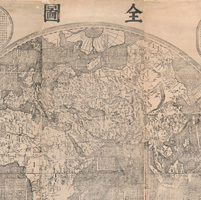 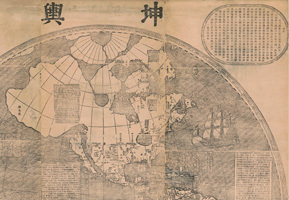 Bringing together for the first time two extremely rare 400-year-old maps that are the product of early interactions between European and Chinese scholars. 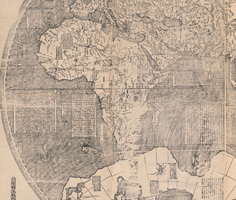 In the late sixteenth century, Jesuit missionaries traveled to China, where they learned about Chinese culture and shared scientific knowledge with their hosts. 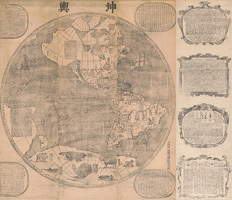 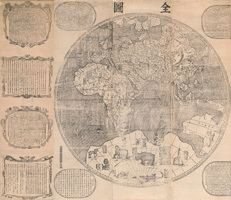 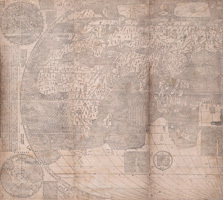 China at the Center presents two maps that were the result of this cross-cultural exchange: Matteo Ricci's 1602 A Complete Map of the Ten Thousand Countries of the World and Ferdinand Verbiest's 1674 A Complete Map of the World. 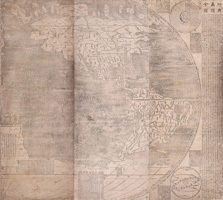 These massive woodblock-printed maps are physical representations of the joint scholarship of two very different cultures and show the world as it was perceived roughly four centuries ago. 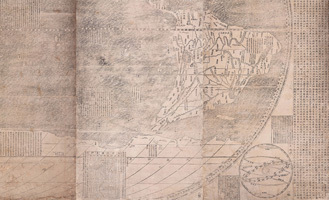 A highlight of the Asian's 50th anniversary exhibition series, China at the Center will be on view from March 4 through May 8, 2016, in the museum's Lee Gallery. 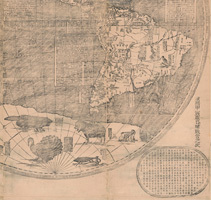 The exhibition is co-curated Natasha Reichle, associate curator of Southeast Asian art, Asian Art Museum, and M. Antoni J. Ucerler, S.J., director, Ricci Institute for Chinese-Western Cultural History, University of San Francisco.